Keeping your home and family safe is one of your top priorities, and wireless home security systems are one of the most affordable and effective ways to do so. According to FBI data, there were over one-and-a-half million burglaries in 2015, resulting in an average loss per incident of $2316. You don't have to become a statistic. By taking advantage of feature-rich home alarm systems you can reduce your chances of becoming a target for the bad guys. If you've been shopping for the best home security systems then you already know that the options are plentiful and sometimes overwhelming. 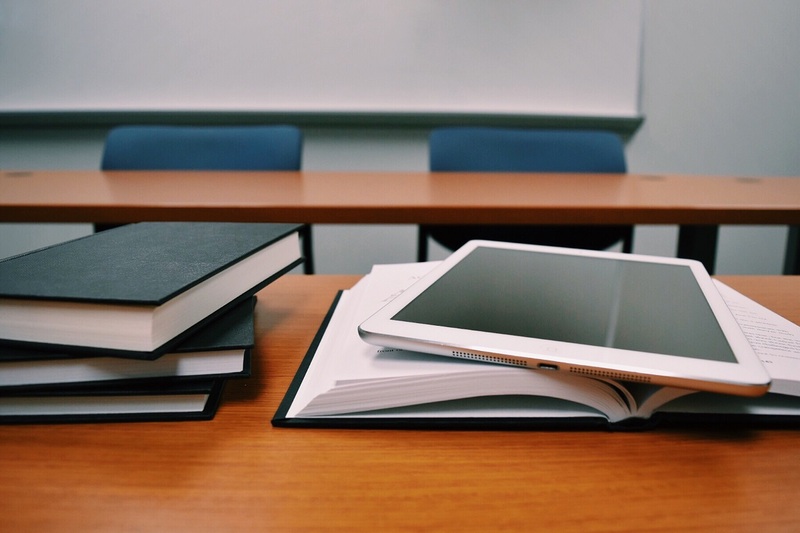 In this guide, I'll explain what wireless actually means in the context of security equipment, how it works, and which components you should consider when choosing a setup. 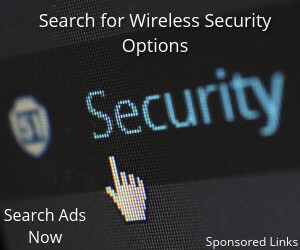 The term "wireless" refers to two different elements of home security functionality. I'll go into more detail about each of these aspects later in this guide. When it comes to professionally installed and monitored equipment, wireless refers to the ability of the system to operate on a cellular network as opposed to a hard-wired phone line. Cellular technology has changed the face of home security because it cannot be disabled by cutting the phone or internet line. In addition, if you choose a system with battery backup you are still protected even if the power goes out. As a backup for professionally installed and monitored equipment, such as through ADT as part of their higher-tier packages. As the primary operational method of self-install equipment with professional monitoring, as with companies like Frontpoint. As a backup add-on to a flexible system like Iris, which can be self-monitored or, for a fee, professionally monitored (with cellular backup for an additional monthly cost). In other words, you can get a wireless home security system which functions entirely on cellular service, or you can choose a system that operates through the phone line but with cellular back up in case the line is compromised. The other type of wireless security system is typical of the DIY home security variety. This kind of equipment uses your internet connection to allow communication between all of the components, as well as between the components and your mobile device. Rather than operating through a landline, your home security devices connect as a system using your router. They're easy to install. Most wireless security systems simply involve plugging the components into a power source and following the instructions for connecting them. They're affordable. While some products do come with a professional monitoring option, if you choose self-monitoring you will only have to pay for the cost of the equipment. This is typically much less than what you would pay for a system from a security company. They're portable. If you move or wish to reposition equipment, wireless devices are much easier to move than hard-wired. They can be integrated with smart devices. 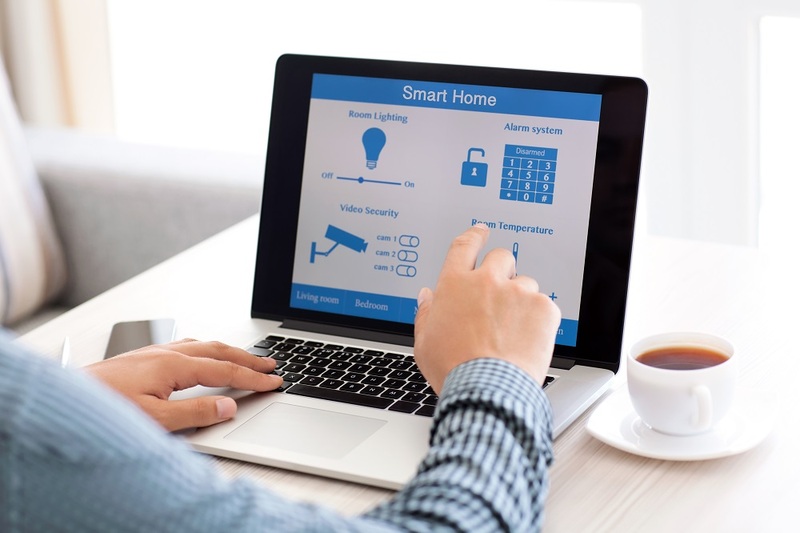 One of the most attractive features of an Internet-based wireless security system is that many come with the option to connect to other smart devices in your home, such as thermostats, smart locks, and lighting. 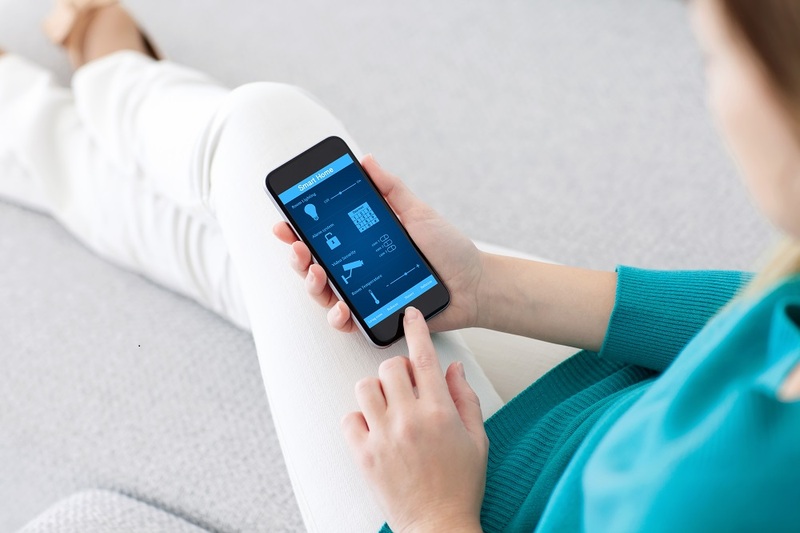 As households become more reliant upon mobile technology and connected home automation increases its foothold on daily life, security is naturally being brought into the fold through wireless internet-dependent solutions. This means more, better, and cheaper products for streamlining your home's functionality and improving your safety and security. 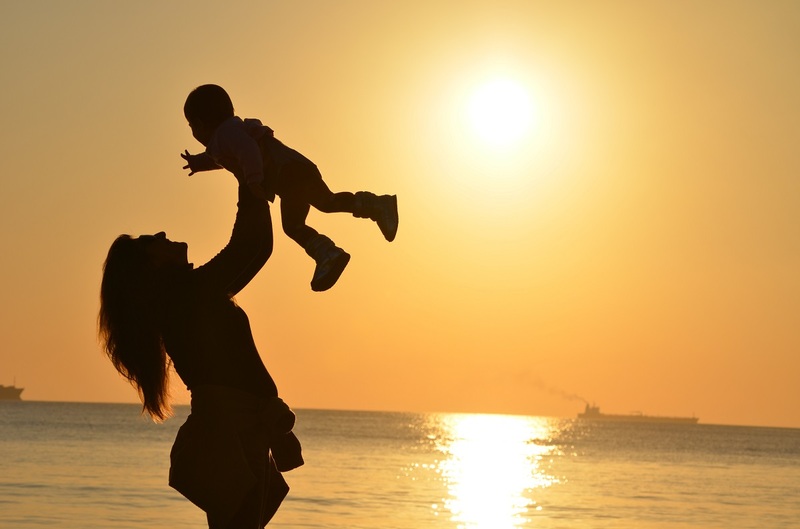 There's no doubt that all of the products on the market today make it easier than ever to protect your family and valuables. So how do these systems actually work? First, let's take a look at the components involved in a wireless home security system. The hub or control panel: this is the main component of your wireless security system and functions as the brain of the operation. Professionally monitored cellular systems and some DIY security systems will have a traditional or touchscreen control panel. If you opt for a setup that combines security with a home automation system, you'll have a hub which you control from a mobile app. Sensors: these include door and window sensors, and sometimes indoor/outdoor motion sensors to alert you when there's unexpected activity inside your house. Cameras: a wireless security camera gives you the ability to see what's going on in real time indoors and/or out, and also allows you to record and store video. Alarm or siren: this feature is one of the most important parts of a wireless security system in terms of scaring off intruders. It can also alert neighbors to a problem if you're not at home. You may also have yard signs, window stickers, and key chain sensors which allow you to arm and disarm your system. Of course, with a smart security system, you will also be able to connect devices like door locks, lights, and more. A few companies offer broadband monitoring as well, although experts generally recommend hardwired or cellular monitoring over broadband because they're more reliable. Systems with minimal equipment, like Piper or Canary: these devices are touted as an all-in-one wireless security solutions, with built-in audio, video, motion detector, and siren. The device sends you an alert if it detects an intrusion. Wireless security systems with optional professional monitoring: SimpliSafe and Iris both offer a variety of components like door and window sensors and cameras, and give you the choice of self-monitoring or paying a modest fee for professional monitoring. Smart home security systems: SmartThings by Samsung is one of the most popular in this segment due to its ability to connect with a multitude of devices like smart door locks and thermostats. With self-monitored systems, keep in mind that you will be responsible for notifying law enforcement if you receive an alert from your system. The media has put a spotlight on vulnerabilities of home security systems in recent years, like this report from ABC News on how easy it is to interfere with ADT's wireless signal. While technically it is possible to hack a home security system with the right knowledge, planning, and tools, most burglaries aren't this sophisticated. As CNET points out, such a breach would require premeditation and extensive knowledge of your particular system, which is highly unlikely in most property crime scenarios. What is plausible is that a criminal could cut your phone line, which is what makes cellular monitoring - or at least cellular backup - such a wise choice. When it comes to self-monitored systems, there are a couple of things to be aware of. Power outages - if you're relying on your internet connection to keep your security system up and running, you'll want to choose equipment with battery backup. If your internet goes down due to a power outage, your protection could be interrupted. Administrative security - by nature, an Internet-enabled security system is a part of the IoT (Internet of Things). This means that security concerns go beyond simply ensuring that you'll be notified when someone breaks into your house. Hewlett-Packard studied IoT security systems and found a number of vulnerabilities, including the fact that none out of the 10 systems they looked at required strong password authentication. 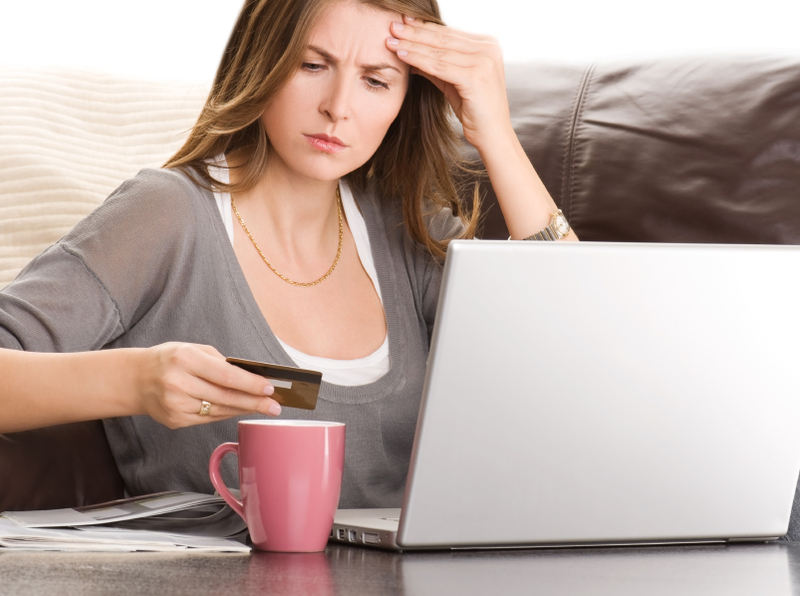 Why do factors like password strength matter? Wireless security systems typically allow control via a website or mobile app. If a thief gets into your account, they could disarm your system without your knowledge, or even access your entire home automation setup. So, in addition to being sure, your equipment does what it's supposed to, you need to pay attention to software security issues as well. Do You Need a Wireless Home Security Camera? When it comes to security cameras, the term wireless is most often used to refer to devices with WiFi capability. Most of the top systems, whether professionally installed or DIY, offer cameras as an optional component. You might think that door and window sensors and a loud alarm siren are enough protection. This may be true, but a wireless security camera offers another layer of protection, and can even help you get a faster police response because you can verify that a crime is happening via video on a mobile app. It also allows you to monitor your kids, the babysitter, and your pets while you're away from home. The best wireless security camera for your setup will depend largely upon your other devices. Some brands are proprietary, only allowing connection between their own cameras and other security equipment. Other systems allow some integration with other brands, such as SmartThings, which allows use with its own cameras plus the Netgear Arlo. You may also consider using a doorbell camera, such as the Ring Video Doorbell, which is compatible with service from some home security companies, like ADT. Also keep in mind that you may use a wireless home security camera independently of the rest of your system, you'll just have to use separate apps to monitor the various components. There's no question that installing a home security system is an effective way to reduce your risk of becoming a burglary victim. 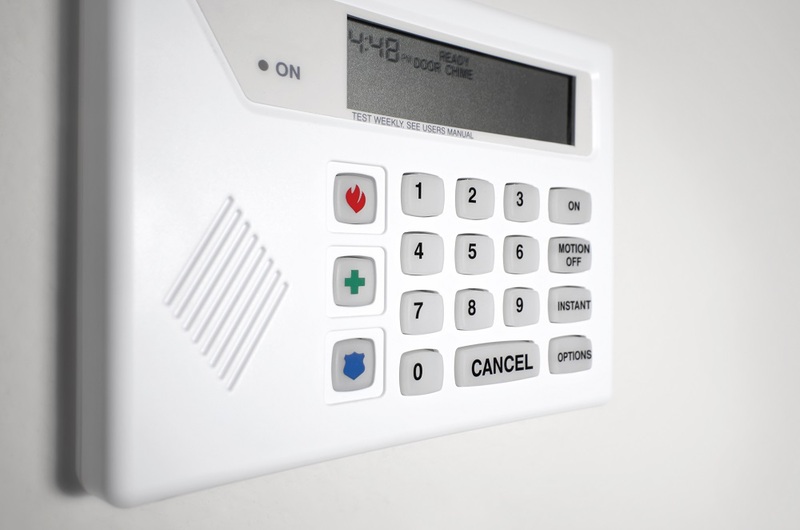 In a study done by the University of North Carolina, researchers found that the presence of an alarm is a significant factor in deterring thieves from targeting a home. Whether you choose a professionally installed wireless security system or go the DIY route, you've got plenty of tech-savvy options.